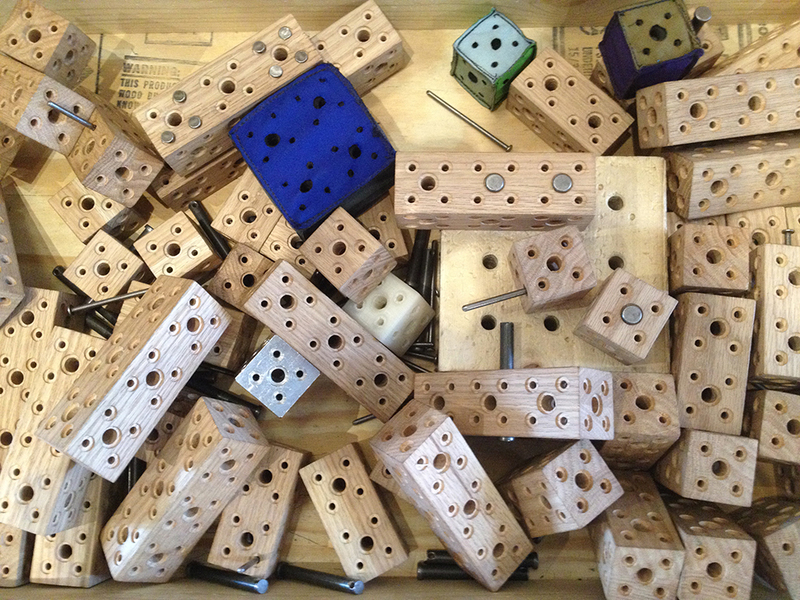 Recently at MAKESHOP we’ve been wearing a lot of hats… Literally! A lot of them were pretty heavy on precision cutting and sewing, but I figured out how to make an awesome garrison cap with only a few materials. 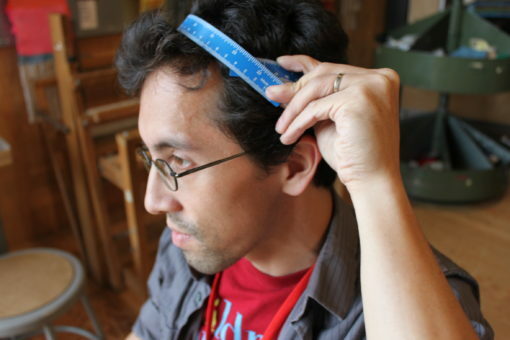 You need to know how big to make your hat, so measure your head with a tape measure or a piece of string. Write down the number, or keep the string so you can come back to it later. 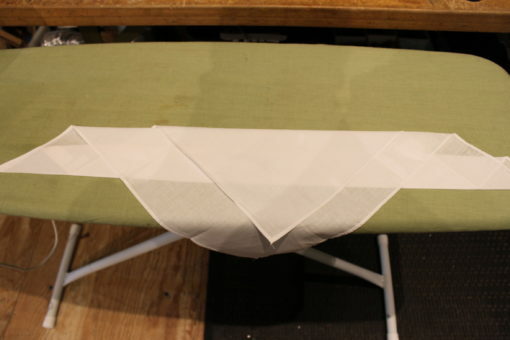 You will want to iron out your handkerchief without any starch, to get the fold wrinkles out. A little steam might help. 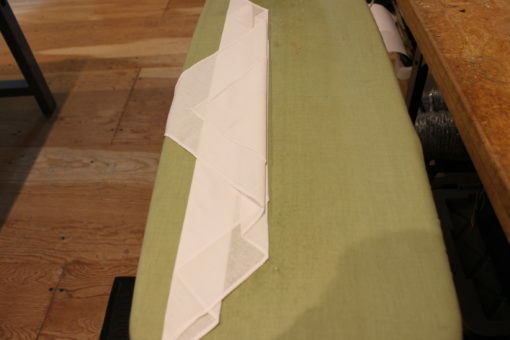 Lay the handkerchief out like a diamond, and fold the bottom corner near to the top. 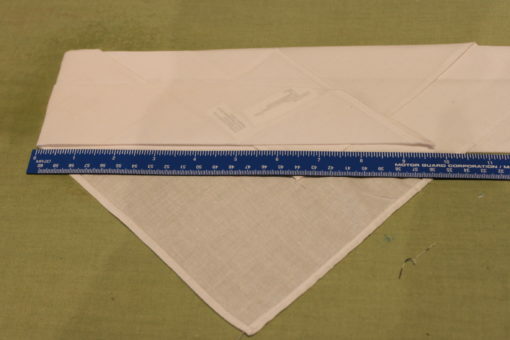 The amount of material between the fold and the center of the handkerchief will make the band. 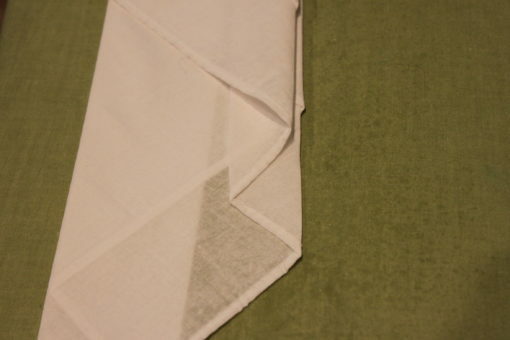 After each fold, starch and iron the crease. 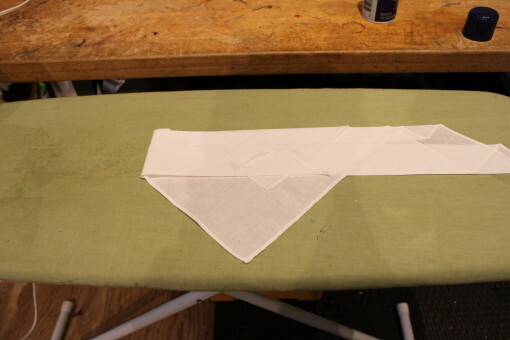 Fold up the bottom to the centerline, making a big triangle. If you don’t like the size of the band, you can unfold it and fold a different sized one! 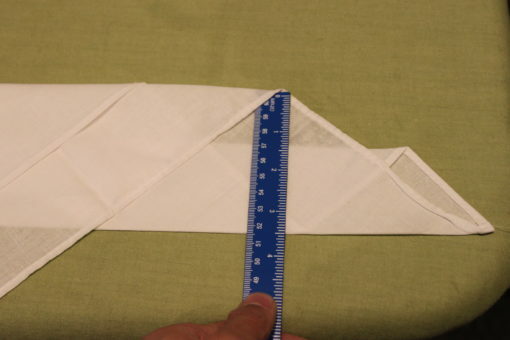 Fold the top corner straight down. 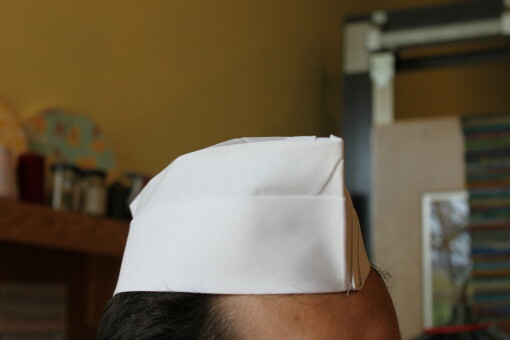 The distance from the bottom edge to the fold will be the total height of the hat. 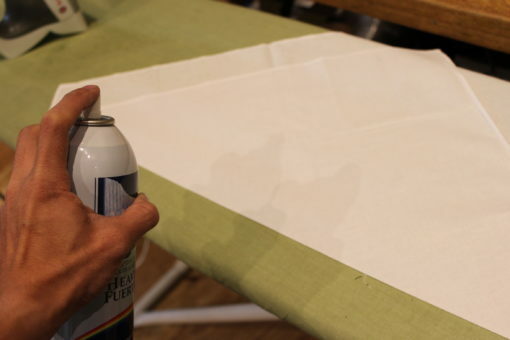 Starch this and the next two folds really well. Fold the bottom tip straight up. this will make the cleft in the top of the hat. 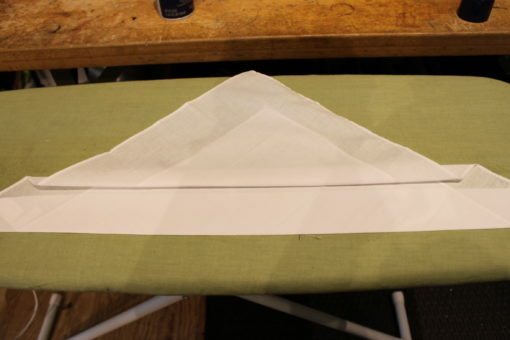 The larger you make this fold, the wider the hat will open up. 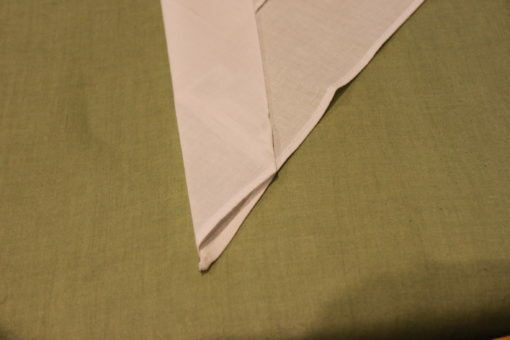 Fold the tip down to match the first downward fold. 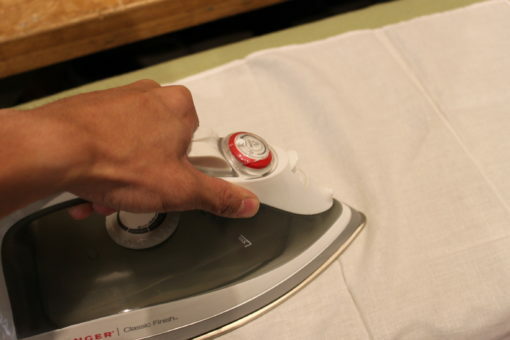 Iron and starch. Now it’s time to fold the hat in on itself. 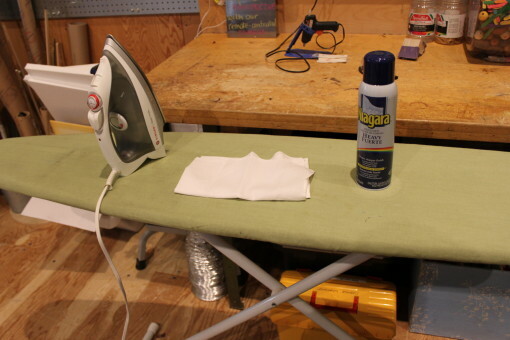 First we’re going to iron the side creases. This is where our measurement comes in. First fold the side that will be the front over, iron and crease this one as much as you can. Next, measure slightly less than one half of the measurement for your head. 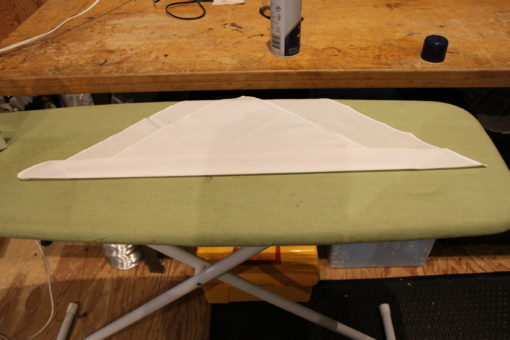 Fold and iron at that length. 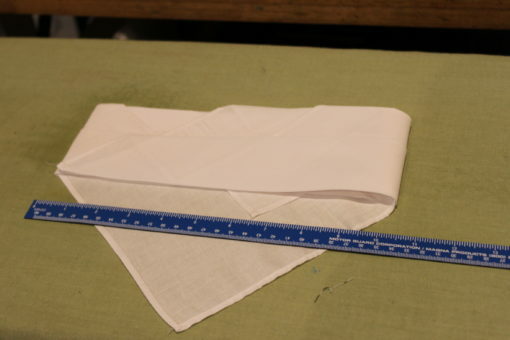 Finally, we will carefully tuck the one side into the other, and fold the bottom flap into the hat band. One last round of starching and ironing, and it’s ready to wear! What I like most about this hat is that you can change the folds and change the shape of the hat! 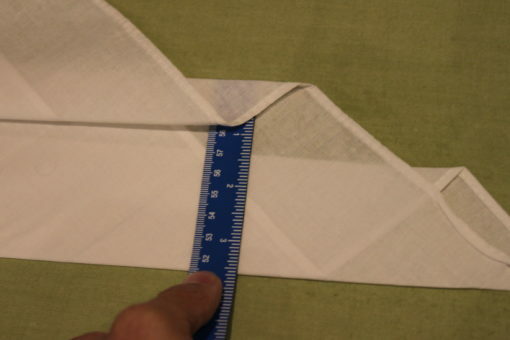 Try making it shorter, taller, with a wider or narrower band. 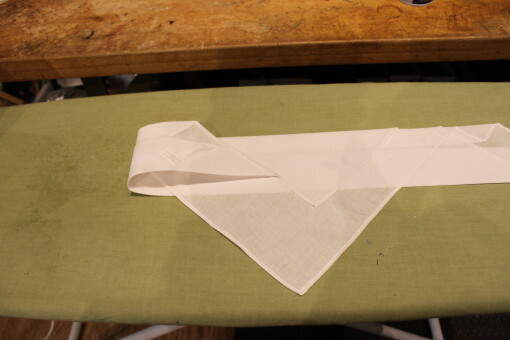 Try changing the interior top fold size to make it narrower or wider at the top. 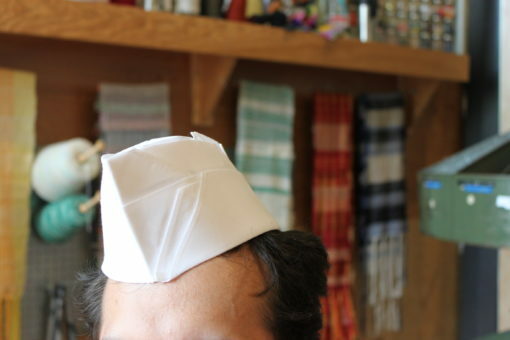 It can go anywhere from a triangular army skull cap to a big boat-shaped diner hat!